Weekend Homes in The Hudson Valley are closer than you think. More importantly, you can have one for a price tag that you never imagined. The best of both worlds allows you the flexibility of a rental in the city along with a weekend home within a two hour drive or train ride. 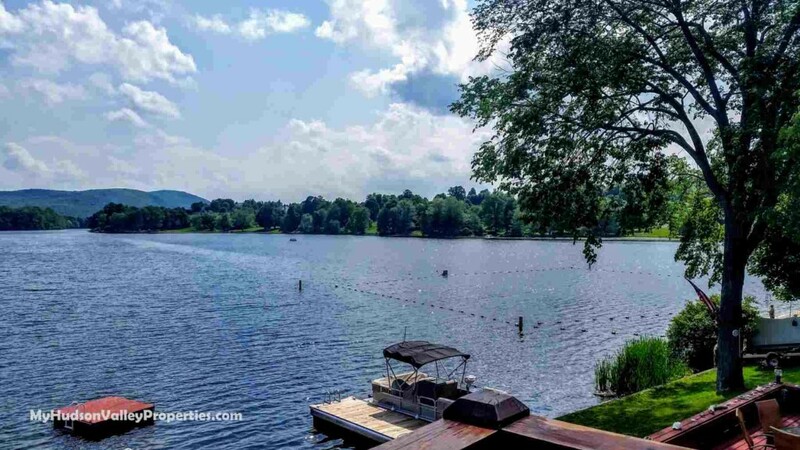 Picture yourself spending the weekend on the shores of the Hudson River, or on a quiet lake, or maybe panoramic mountain views from a porch at the top of a mountain. We have them all! You just need to know where to look! Can you imagine waking up to views like this? This new trend of home buyers looking to escape from NYC is descending on Orange, Ulster and Dutchess County NY. Consumers want to live near work, and seek a place to play in a more secluded less urban atmosphere when they have free time. Since buying a home is quite pricey in New York City, many residents are now looking north to the Hudson Valley where their dollars are able to purchase that weekend home AND keep an apartment in the city closer to work. The best of both worlds is actually a very real option for many. Only 65 miles north of New York City, it is a most manageable location. The question of pricing is always of concern, but we are really quite affordable. Can you spend weekends away from New York City in a home on the Hudson River for less than $750,000? You bet! Our weekend homes are ALL about the views AND the lifestyle while prices are so much more reasonable than our neighbors in Westchester. While those homes are rather spectacular, so are the those giant price tags AND the taxes cost more than the homes we sell. Homes there can range from $1 Million dollars to the most expensive currently on the market in Westchester NY at $23,000,000. People looking for a second home in the country away from all the chaos of NYC are finding themselves in the Hudson Valley with affordable homes, great locations and in a much more manageable price range. Pricing of these homes can range from $150,000 to $800,000. The question then is how to find the right home. What can you buy for these prices? Waterfront property and river views for are selling for rather amazing prices. It all depends on your taste and budget. I can help streamline the search and guide you along the process. It will require some good communication and a few visits to our area to narrow down the locations a bit. Once we have an idea of what can work then the search for that specific home and touring a specific location is next. It is a process that requires a bit of research on both our parts ending with enormous rewards. Finding that nuanced location and home is a process that requires patience and tenacity. When you are ready, we can tour the homes currently available. Let me set up a personalized search for you with some amazing locations with homes in your budget. The question isn’t why move to the Hudson Valley, the question really is, WHY NOT? Prices do range depending on size and location, but you might just be surprised what is available now.